Ever wanted to know how to join two pieces of metal together? Create a cool sculpture or piece of furniture? Or just wanted to wear the cool mask? Welding for Beginners is for you. Beginners learn basic stick and mig welding of mild steel, on both older and new style machines. The class will learn all the basic welding techniques required to work on small construction and art projects. Also, the many traps in buying your own machine will be discussed. NOTE: Please check whether you are in the morning or afternoon session. 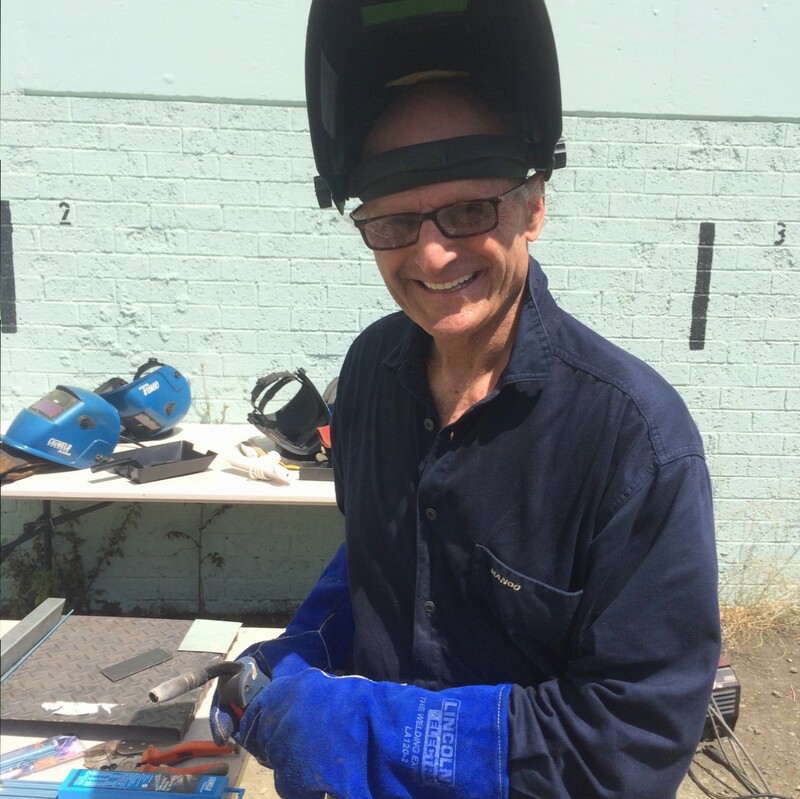 A handyman by trade, Phil has been welding for over 40 years, mainly cars, but also household projects like gates, fences, posts and beams. Over the years, he has taught basic welding leisure classes to novices, but the escalating prices for machines, gas, and even steel has almost stopped hobby welding courses. New inverter technology has made the machines lighter, smaller, cheaper, and provides a more stable arc, making them easier to use. So home welding is affordable again, and Phil is leading the charge.